Ladies! Today, a brand new makeup line is launching, and you need to know about it. What makes SPKTRM different? SPKTRM is all about inclusivity and transparency. Their brand will always reflect these values that they hold with high esteem. In addition to these brand values, SPKTRM makes products that are paraben-free, cruelty-free, PETA certified, and available in shades for people of all backgrounds. The premier product will be a liquid foundation offering hydration benefits through hyaluronic acid. SPKTRM plans to create 50+ shades for this foundation. Hallelujah. Each product will always have an honest depiction with zero skin retouching. In fact, SPKTRM is the world’s first beauty brand to entirely ban skin retouching. How incredible? Whereas most beauty campaigns aim to target viewers through lowering their self-esteem, SPKTRM is all about empowerment. 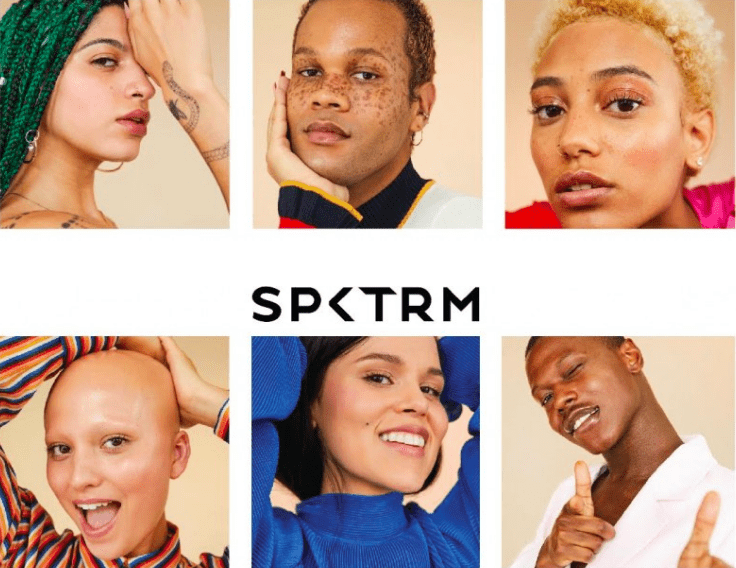 Through celebrating the genuine beauty of more diverse and relatable people, SPKTRM’s goal is to get rid of unrealistic ideals and keep it real. Three women—Jasmine Glass, AnnaLiisa Benston, and Ehlie Luna—of all different ages and ethnic backgrounds founded SPKTRM. Each founder has a personal story about the way the industry has affected her relationship with beauty. Now the trio plans to change the landscape of the beauty industry to empower each other and the world. This mindset has led to their motto — At SPKTRM Beauty; we have you in mind. To kick off their brand launch, each founder will post a makeup-free selfie with#MeInMind while nominating others to do the same. Tag us and SPKTRM in your beautiful makeup-free selfie!